The one. The first. The blueprint. When people think of Los Angeles, California, many different things come to mind. The beautiful beaches, Hollywood, celebrities galore and the Los Angeles Dodgers all have a permanent place in the city of Los Angeles. The most iconic and symbolic representation of the City of Angeles is the Los Angeles Lakers. 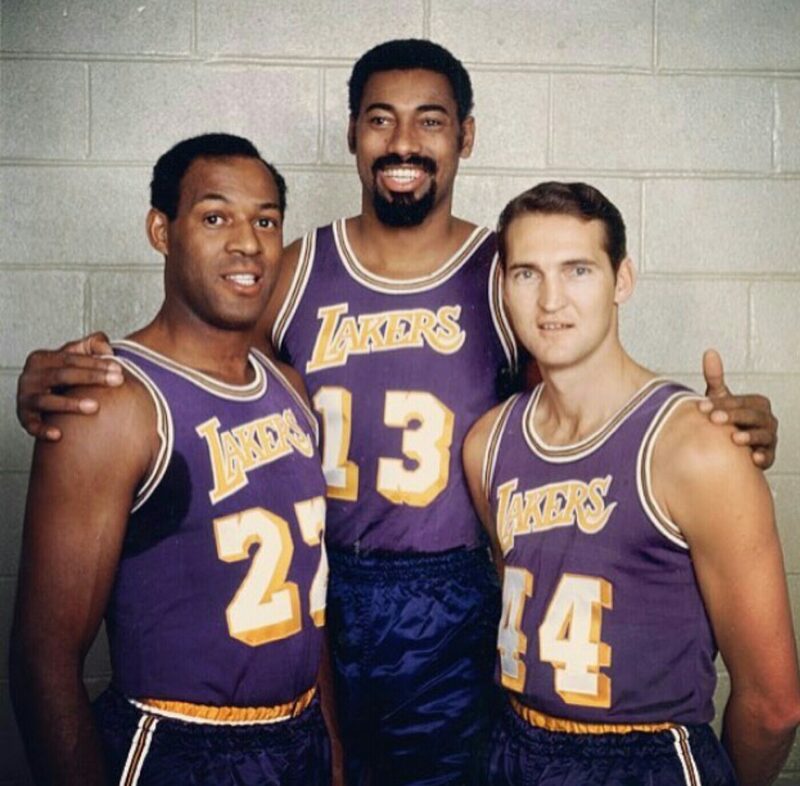 Originally founded in Minneapolis, Minnesota, the Lakers franchise moved to California in 1960. 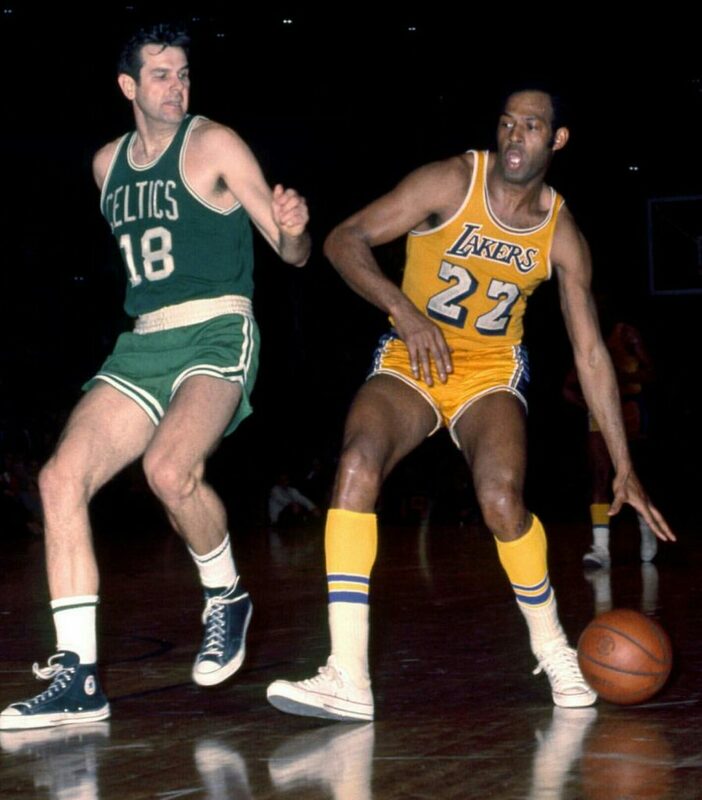 The one-way ticket to Los Angeles for the franchise brought the most important player to ever wear the purple and gold (royal blue and white initially) to Los Angeles; #22 Elgin Gay Baylor. Baylor, a product of Washington D.C. transcended the game of basketball with not only his natural on-court talent but his creativity and his ability to be great EVERYTIME he stepped on the hardwood. 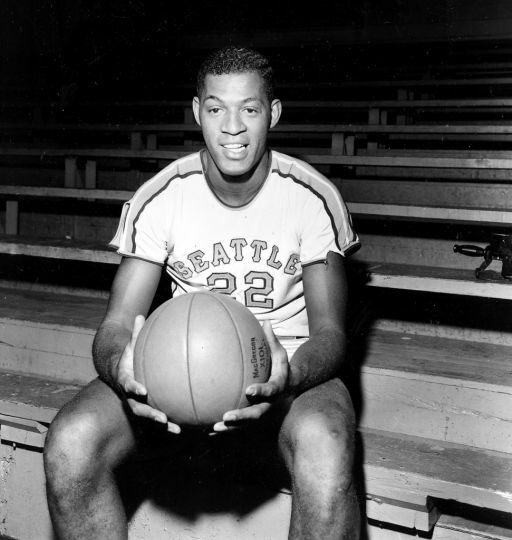 Drafted to the Lakers out of Seattle University in the post-George Mikan era, Baylor was able to fill a void in the franchise created by Mikan’s retirement. Baylor’s first year in the National Basketball Association would see him win not only the NBA Rookie Of the Year, but he would also be named Co-MVP of the All-Star Game while also being named to the ALL NBA First Team. His rookie season would be a preview to the future of unmatched exploits that he would display on the hardwood wearing a Lakers uniform in both in the cities of Minneapolis and Los Angeles. 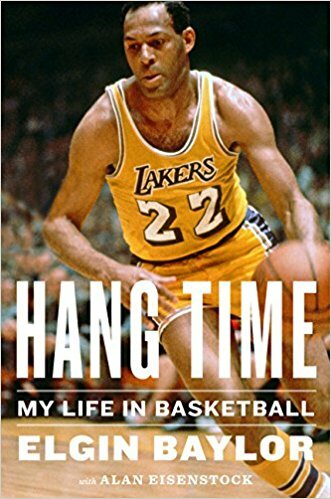 April 10, 2018, Elgin released his personal memoir “Hang Time: My Life In Basketball” to the world. 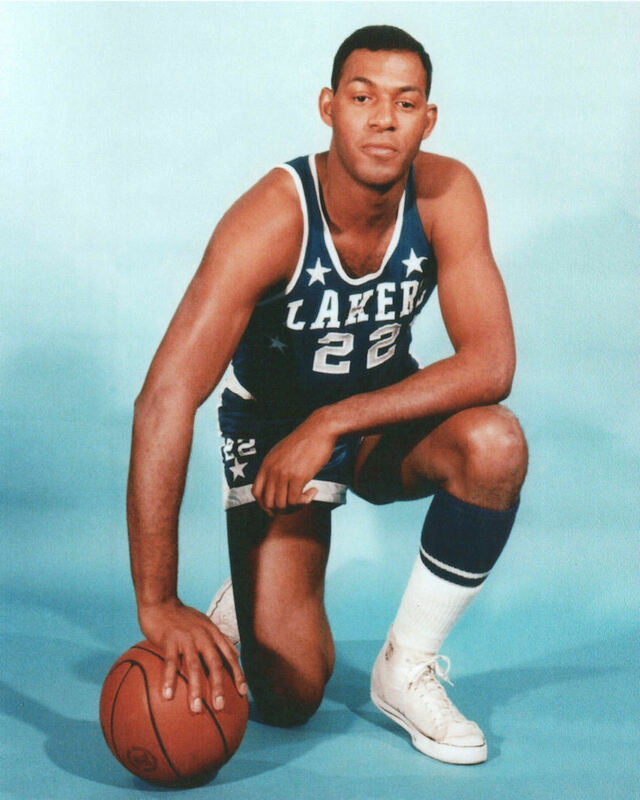 This memoir gives the reader a true glimpse into what made Elgin Baylor a great basketball player and how life experiences from a society rooted in racism didn’t hinder him from achieving his goals but pushed him to excel beyond the limits created by segregation and limited opportunity. Reading Baylor’s words about his days as a youth in the nation’s capital, Washington D.C., his recounting of acts of racism against his sister and father show not only the effect it had on him individually but it also put into perspective how awful racism was for black people in an area of the country that was not one of the Confederate states. 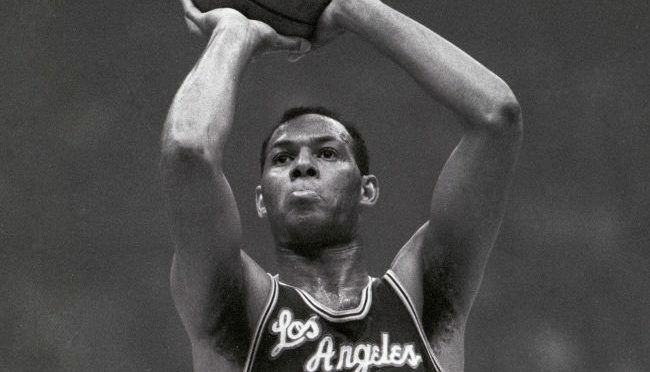 That quote from Elgin Baylor may be the most powerful words written in his memoir. One, this quote shows how hate outweighed legislative laws created to create a land of equality. Two, these words are still relevant sixty plus years later as hate is still existent in many places where laws would indicate otherwise. 1968 would see Dr. Martin Luther King Jr come to Memphis, TN leading a strike with sanitation workers of the city that demanded equal treatment to their white co-workers and to be treated as a human being. 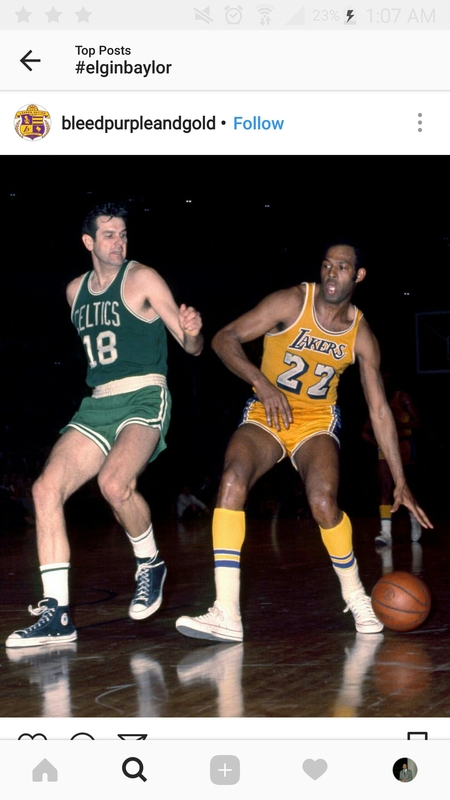 The adopted mantra for this march by King and the sanitation workers was “I Am A Man.” In 1959 Elgin Baylor made the decision to not play in an NBA game after being refused accommodations at a hotel in Charleston, West Virginia. Before Muhammad Ali, Baylor made the ultimate statement on the highest platform as an athlete, understanding that being treated as a human being was worth more than any NBA paycheck he would receive. Baylor made this stand at a time when the NBA operated on an unwritten “quota” system that limited the number of black players on teams. 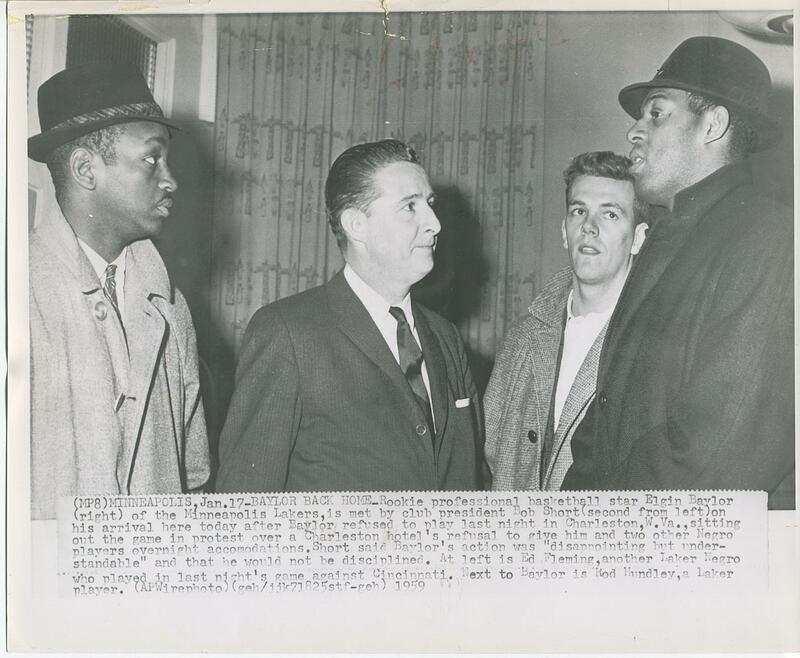 Despite the ignorance and hate-filled actions of that night and many other instances in his life, Baylor achieved in ways that had not been seen before in the NBA. The greatness of Baylor as a Laker was validated by the one who had a courtside seat to every game from the teams initial move to Los Angeles; the late great Chick Hearn. 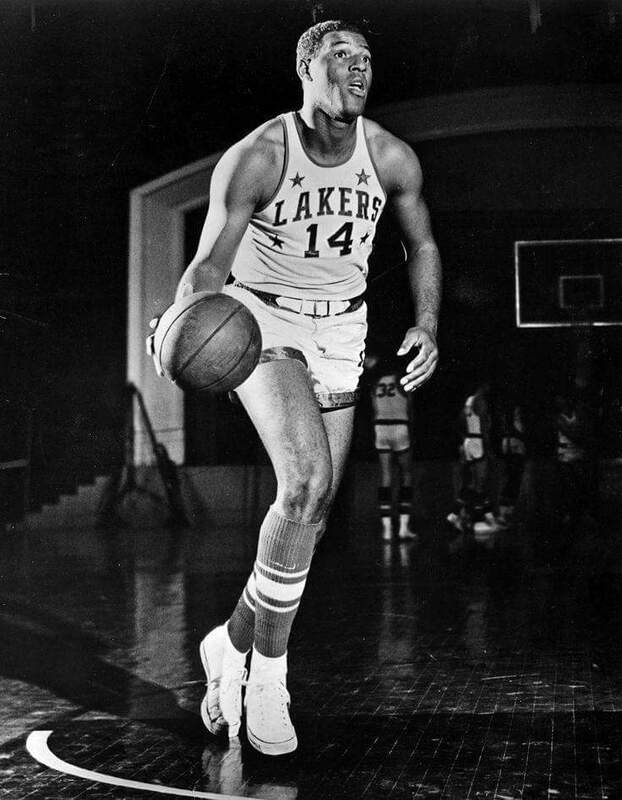 Hearn the play-by-play announcer for the Lakers saw every legend to wear the purple and gold uniform; Wilt Chamberlain, Jerry West, Magic Johnson, Shaquille O’Neal, Kobe Bryant, James Worthy, Jamaal Wilkers and the list to continue, but the greatest of them all according to Hearn was Elgin Baylor. The number of honors Baylor finished his career with are outstanding and one would need a scroll to read them in totality. 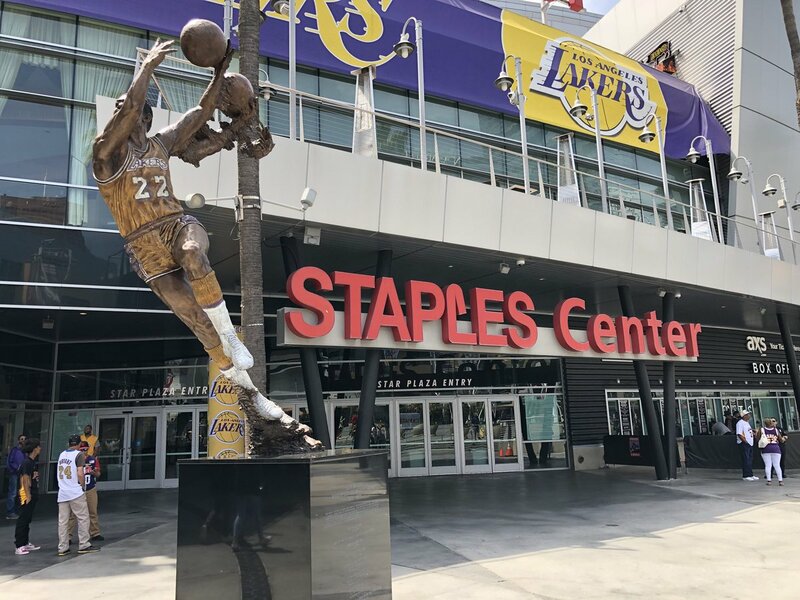 The pinnacle of Laker greatness has been defined by the ultimate honor from the organization; being immortalized in statue form forever. 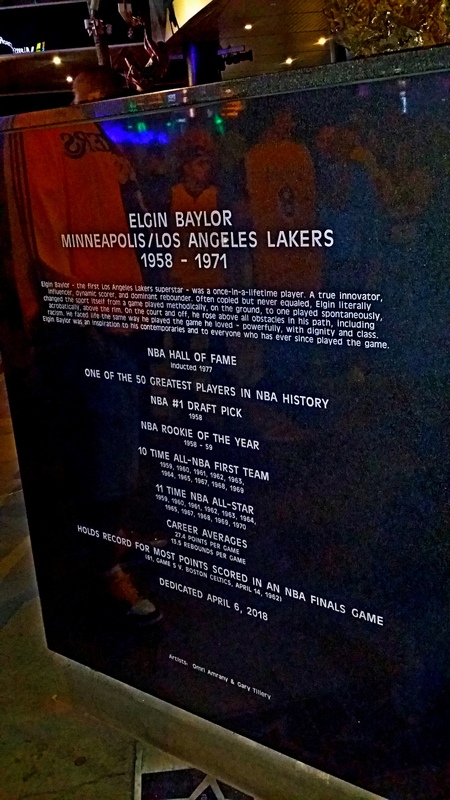 April 6, 2018, the statue of Elgin Baylor was revealed to the world in front of the Staples Center in downtown Los Angeles. With Laker royalty and Laker fans on hand to pay homage to the living legend that carried the franchise on his back from Minneapolis to Los Angeles, Baylor’s day was a live memoir for those on hand of the journey he took in life in becoming a man and a basketball legend.